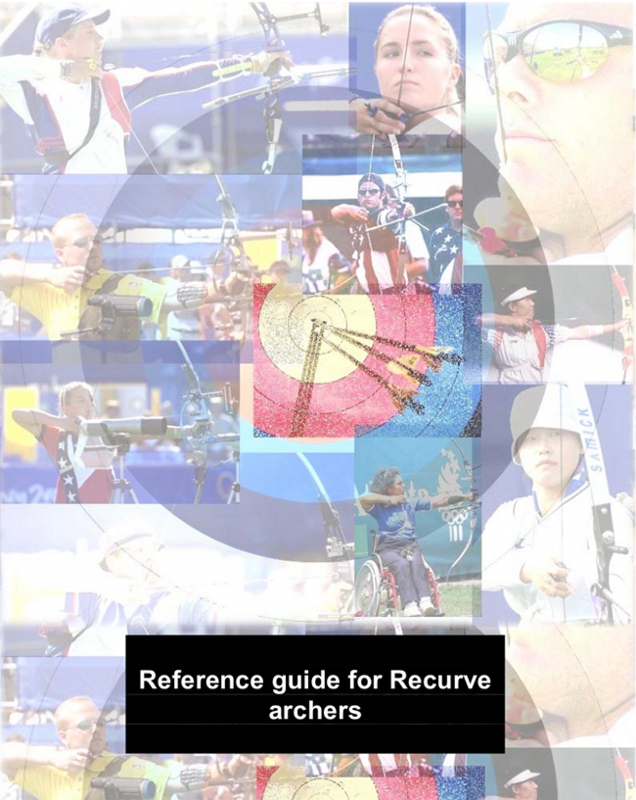 Beginner’s brochure on the fundamentals of recurve archery. The novice who reads this booklet will be guided in acquiring equipment suited to his purpose. By the study of the shooting techniques contained herein, he can, through strict self-discipline, acquire good shooting form. Whether on the target range, the field course or in the hunting field, the ability to shoot well enhances the sport of archery and increases the recreational possibilities for every member of the family. The Archer’s Reference was put together in June 1999 as a reference booklet for the members of Balbardie and Grange archery clubs in the UK. The content contained within it is taken from the internet, books, magazines, coaches, and other archers, and is the culmination of many years of experience. The World Archery Federation (WA) is the world governing body for the sport of archery, recognised by and a core sport of the International Olympic Committee (IOC), the International Paralympic Committee (IPC), the Universiades and many other organisations. The head office for WA is in Lausanne, Switzerland. Archery Canada is a not for profit National Sport Governing Body dedicated to the promotion of all types of archery to all Canadians. Archery Canada supports the achievement of high performance excellence in archery in all categories and the development of a national archery infrastructure to promote archery participation across Canada in cooperation with our partners, the Provincial Archery Associations. We are the Provincial Sport Governing Body (PSGB) for archery in British Columbia, we are affiliated with Archery Canada Tir à l’Arc nationally and the World Archery internationally. In addition we provide coaching and judging services and training for local and Provincial tournaments, lobby for bowhunting and the ethical practice of ours, the oldest of sports. We are the voice of archery in BC. Archers shoot year round, and practice and compete in indoor and outdoor target shoots, attend 3D competitions, shoot in our Winter League Field Shoots, and hunt, using all types of bows including traditional long bows, recurve bows, and compound bows.